On 23rd October, a two day nonresidential Karyakarta Shibir was held in the campus. 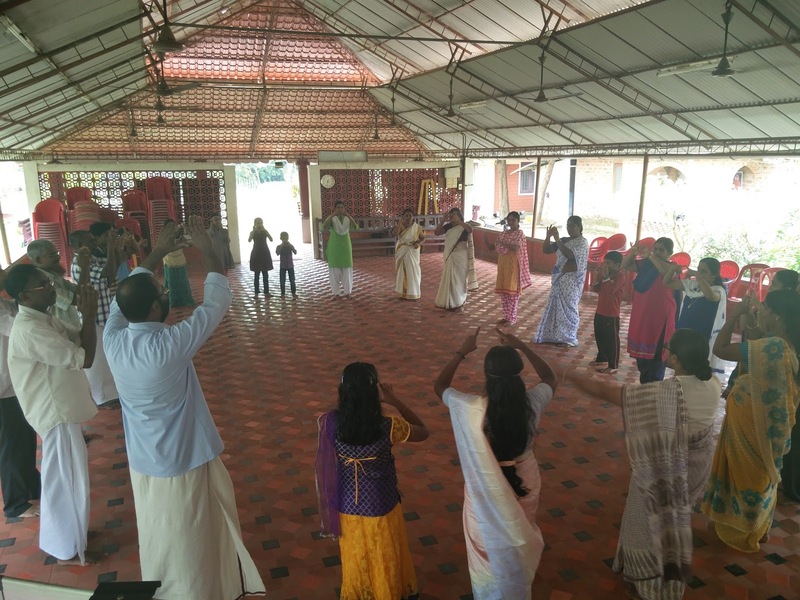 27 participants including 8 students (Cl - VI to XII), 5 brothers and 14 sisters participated. 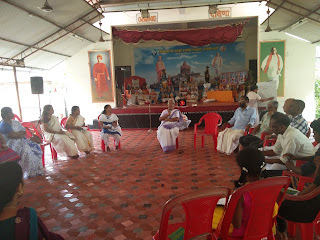 Apart from Mananeeya Lakshmi Didi who was present throughout, Sri Sudhakarji, Su Sutapa and Sri Raghunathji from Kanyakumari were also present as the organizing team. There were five lecture sessions apart from group discussions and games.The topics of the sessions were: i) Vivekananda Kendra a thought movement ii) Karya Padhati iii) Mananeeya Eknathji iv) Swami Vivekananda and v) Kendra Prarthana. For the group discussion, participants were divided into three groups according to their work ability viz: Samskar Varga group, yoga varga group and project activity group. Each group was led by a coordinator. On the first day, the topic was ‘how can the activity be improved further.’ One from each group was asked to present the report. On the second day, during group discussion, each participant was individually asked as to how they could contribute and what would be their target for the next three months. Almost all responded positively. On the second day the last session from 3pm to 3.30 pm was kept for Sankalpa wherein each one offered flowers in front of OM and took their Sankalpa.